When it comes time to replace your watch crystal, you can attach the new crystal in a couple different ways with adhesives. 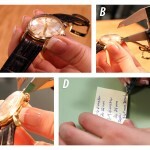 Use this guide to learn how to use two part epoxy to bond the new crystal to your watch case. Start by removing the movement and the old or damaged crystal from the watch case. Once you have removed the old crystal, clean the watch bezel where the crystal usually sits by removing any remaining adhesive or dirt. You may need to use a flat head screwdriver to scrape excess junk from the watch case. 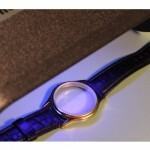 When you have a clean watch case and your new watch crystal in hand, you will need to prepare your two part epoxy. 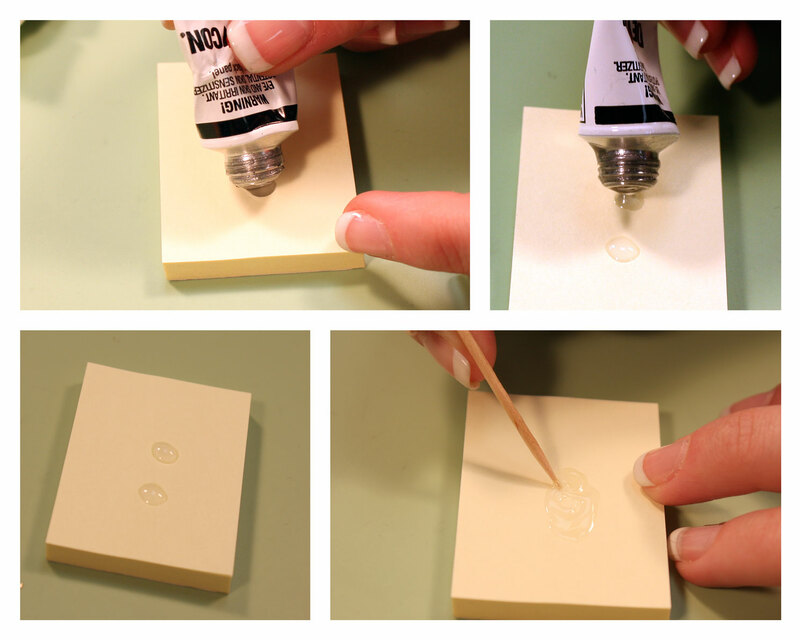 Place two equal parts of each component of the epoxy on your notepad. The dots should be close enough to see you’ve used the same amount of each, but not touching. Take your toothpick or pegwood and mix the two parts of epoxy together. You should mix the epoxy for thirty to forty seconds and be sure to stir well to ensure an even mixture. After you have mixed the epoxy, use your toothpick to apply small amounts of the epoxy to the ledge of your watch case where the crystal will sit. Be sure you only apply the glue to this ledge and you cover the whole surface evenly. Take your new crystal and place it into the bezel of the watch case so that it rests on the ledge you have applied the epoxy to. 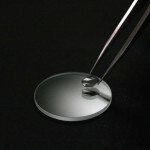 Press down softly to make sure that you have positioned the crystal securely. As soon as the crystal is in place, take your Selvyt cloth and wipe away any excess glue on the outside of the bezel. Be sure that you do not push the watch crystal out of place while you clean away the extra epoxy. Let the watch sit for five minutes to allow the epoxy to set up. Once the watch crystal has been securely attached, you can put the watch back together if necessary and begin to wear your watch again. To learn more about watch repair, or for more methods on attaching a watch crystal, check out our Learning Center.